To ensure accountability and transparency, CARE Australia carefully manages all the projects we undertake. These codes of conduct set out standards that guide how our organisation behaves, how we are managed, how we communicate with the public and how we spend the funds we raise. CARE Australia is also a member of the People in Aid network, which promotes good practice in the management and support of aid personnel. The purpose of our policy is to provide advice on the standards of behaviour that are required of CARE Australia employees. It provides guidance on CARE Australia’s values and code of conduct and promotes ethical behaviour and sets expectations of our employees across all locations. We invite everyone to read our Code and welcome any feedback. CARE Australia is a member of the Australian Council for International Development (ACFID) and a signatory to the ACFID Code of Conduct. The Code requires members to meet high standards of corporate governance, public accountability and financial management. CARE Australia is committed to having child-safe programs across all our work around the world. We strive to protect the rights of the child, and to ensure all children are free from harassment and exploitation. You can read our Child Protection policy in full here. As an organisation that champions the rights of women and girls, CARE recognises the particular responsibility we have to protect people we work with from sexual abuse and exploitation. Such abuse, of anyone, by any of our staff, is totally unacceptable. You can read our global policy here which explicitly outlines unacceptable behaviour, and what we will do to investigate allegations, support victims and discipline perpetrators, including referring them to the relevant authorities. CARE Australia adheres to the Code of Conduct for the International Red Cross and Red Crescent Movement and Non-Governmental Organizations (NGOs) in Disaster Relief, which seeks to guard standards of behaviour. It aims to maintain the high standards of independence, effectiveness and impact to which disaster-response NGOs aspire. It is a voluntary code, enforced by the will of each organisation accepting it to maintain the standards laid down in the Code. 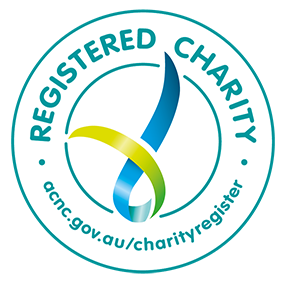 CARE Australia is an Organisational Member of the Fundraising Institute of Australia (FIA) and is a signatory to the FIA Principles and Standards of Fundraising Practice (Code of Conduct). As a signatory, CARE upholds the highest ethical and professional standards for fundraising. CARE Australia’s vision and mission statements reflect those outlined in the Sphere Project. The Sphere Project is based on two core beliefs: first, that all possible steps should be taken to alleviate human suffering arising out of calamity and conflict, and second, that those affected by disaster have the right to a life with dignity and therefore a right to assistance. As a member of the Core Humanitarian Standards Alliance, CARE takes leadership in establishing functional accountability mechanisms for crisis affected people in general and women and girls in particular. CARE is dedicated to aligning its own Humanitarian Accountability Framework to the Core Humanitarian Standards principles. An initiative led by both national and international NGOs to practically implement changes to the way the humanitarian system operates to enable a more locally-led response. As an organisation that has zero tolerance for fraud and corruption, all CARE International Members, including CARE Australia, agree to abide by this policy. We recognise that fraud and corruption have harmful effects on employees, the organization and society, and is a threat to our vision. This policy reflects the fundamentals regarding the prevention of, and response to, fraud and corruption. You can read the policy here. CARE endorses the Charter on Inclusion of Persons with Disabilities in Humanitarian Action. CARE Australia holds full accreditation status as a partner in the Australian Government’s NGO Co-operation Program. To maintain accreditation, CARE Australia’s systems, policies and processes are regularly and rigorously reviewed by the Government. Our status as a Partner Agency reflects the Government’s confidence in CARE Australia’s professionalism, accountability and effectiveness. To find out more about CARE Australia’s continued monitoring and evaluation of programs, please visit our Lessons and impact page. Receiving feedback from and responding to complaints from stakeholders is an important part of improving CARE Australia’s accountability. CARE Australia believes that any stakeholder has the right to raise a complaint, have that complaint addressed and receive a response for mistakes, wrongful actions or breaches of the codes to which CARE subscribes. CARE Australia’s Complaints Policy applies to CARE Australia’s operations globally. A complaint can be made by any supporter, a partner organisation, community or individual with whom we work, or any member of the public whether an individual, civil society organisation, government, company or other entity. Ensuring that our stakeholders can hold us to account will improve the quality of our work. CARE Australia strives to be excellent in all that it does but recognises that this may not always be the case. When we make a mistake we want and need to be informed. We will use the information to endeavour to put things right and to help us to become more effective. CARE puts in place formal mechanisms to gather, monitor and act on feedback from beneficiaries and other key stakeholders. Feedback may be positive or negative, but complaints can mean that things have gone wrong. These mechanisms give beneficiaries and local communities a safe and non-threatening way to raise grievances and allegations of harm and have them responded to. An individual or group who expresses a grievance against CARE will have his, her or their complaint investigated and acted on. CARE Australia is committed to ensuring the accessibility and transparency of its Complaints Policy, procedures and systems for making a complaint, across the breadth of our work.